Referral marketing is a great way to harness the love that customers have for your brand and in turn drive new customer acquisition. After all, research consistently shows that consumers are most likely to listen to recommendations from friends and family than traditional advertising channels. Of course, for someone to refer your product, it needs to be something they love and believe their friends will love too. Nobody wants to put their name behind something that might damage their reputation. 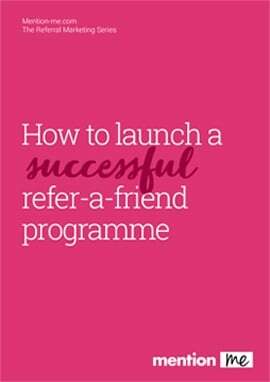 Whilst a quality product or service means that refer-a-friend can drive new sales, there are some elements which can take referral to another level. So what are the secrets of highly referrable brands? Disruptor brands typically identify a pain point for customers and seek to remedy it with a unique solution. These brands tend to extremely referable. Not only are they solving an issue with a great customer experience, people love to share something they feel they have just discovered. One such brand is Bloom & Wild, recently reported to be one of the UK’s fastest growing tech firms. They pioneered letterbox flower delivery overcoming the pain of discovering a missed delivery or damaged blooms. 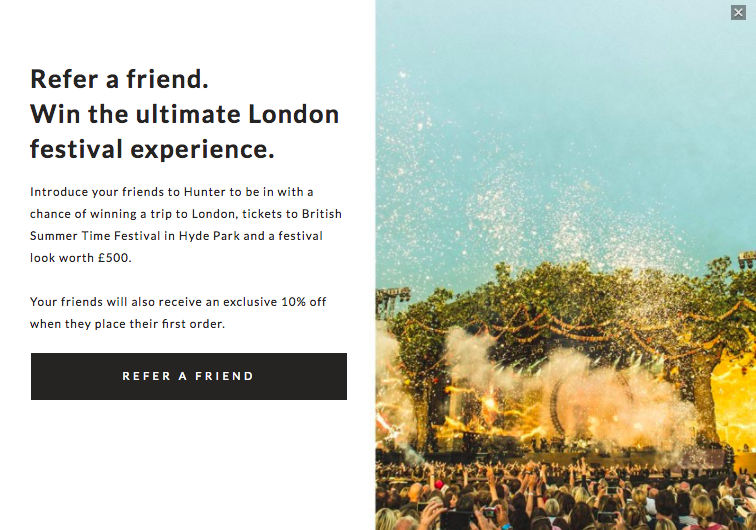 So referable is the brand that the Bloom & Wild refer-a-friend programme consistently delivers 15% of new customer acquisition, rising to 30% in peak months. Of all areas of commerce, fashion is perhaps the most personal in terms of expressing taste, identity and individuality. Fashion is social by nature. We share, compare, discuss and complement each other on new items. We ask for trusted friends’ opinions on certain looks and styles ahead of future buying decisions. In other words, we place trust in our social circles to shape and reinforce our buying habits. The social dynamics at play therefore make fashion brands that set the trends, highly referable. Typically, the more luxurious and exclusive the fashion brand, the higher the rate at which it will be shared. A great tactic used for trend setting brands is to offer the chance to be part of an exclusive event in addition, or instead of a money off reward. This ties into an increasing trend to value experiences over possessions. This can be a useful approach for luxury brands which might frown upon discounting. Brands which offer products or services which are available in a limited quantity create a buzz which referral can really tap into. It plays into the psychology of persuasion, first written about by Robert Cialdini. Scarcity is one of the key persuasive ingredients which compels shoppers to act, as people will desire something if it is seen as less available. 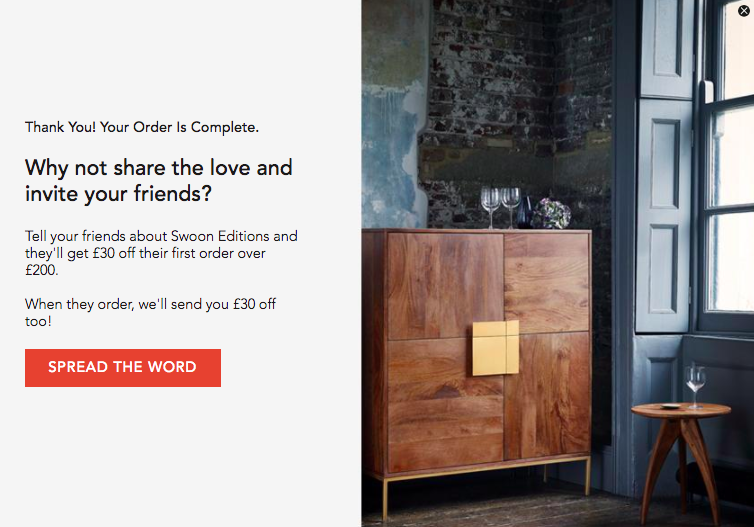 Online furniture retailer Swoon Editions have built this into their business model by producing limited edition ranges of furniture. Their referral programme has proved highly effective as their case study demonstrates. Brands which do not produce limited edition products or services can still tap into the influence of scarcity. Many referral programmes provide rewards which must be redeemed in a short timeframe, thus driving the need for urgency. The most innovative technology products tend to succeed or fail on the buzz created by early adopters. This group want to be ahead of the curve and strive to be among the first to own the “latest” product, particularly new technology. They are tech savvy and opinion leaders, keen to share their knowledge with their peers. Therefore they tend to be the best brand advocates. Every referral is driven by psychological drivers. In this case, the social capital associated with telling a friend about new technology which means that the referrer is seen as an expert on the product. Indeed, recent research carried out by OnePoll for Mention Me showed that technical products are one of the most refered category of product for males, with 55% saying they were likely to refer such products. It sounds obvious; friends want to share fun experiences with each other, not just the mundane aspects of life. It follows then that they are also likely to share a product or service that is seen as entertaining. Indeed research shows that experiences such as travel, entertainment and leisure are some of the most likely categories to be referred. That doesn’t mean that referral isn’t successful in other categories. The key is to make the messaging surrounding the offer fun or entertaining. One great example of this is cosmetics company Benefit. 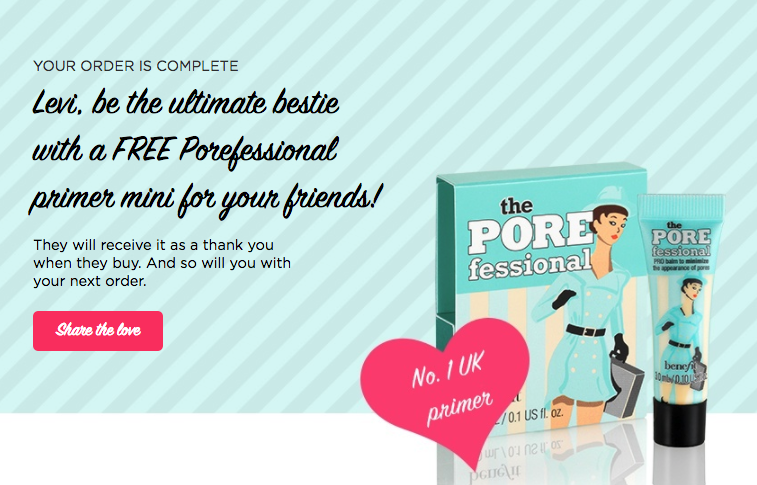 Every aspect of their marketing is irreverent and playful, and this extends to their referral programme. The copy, images and referral offers all reflect this approach and has driven successful customer acquisition with customers acquired by recommendations being a particularly valuable segment. Even if your brand doesn’t exhibit one of these 5 elements, the key to referral marketing success is to tap into the underlying concepts in your refer-a-friend campaigns. So make your messaging and creative, fun, unique or sought after. Most of all, make it something worth talking about.